The Partnership for Housing Affordability (PHA) was founded by the Richmond Association of REALTORS® in 2004. PHA’s mission is to promote affordable housing policies and developments through education, coordination, and leadership. To accomplish this mission, PHA serves as a leading voice on housing-related initiatives in the Richmond region, educates policymakers and the community on the impact affordable housing has on the region’s competitiveness and pursues best practices in affordable housing by leading initiatives that are designed to affect change.1 This report was undertaken to inform business leaders, elected officials, and the development community about the struggles confronting senior homeowners throughout the region, and the actions that can be taken to address and mitigate the issue. 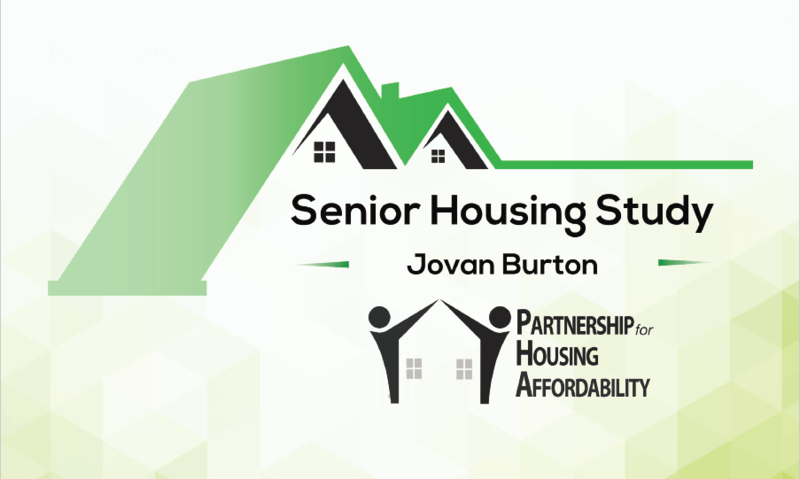 This study will serve to demonstrate to developers and community leaders that a market exists for affordable senior housing throughout the region.